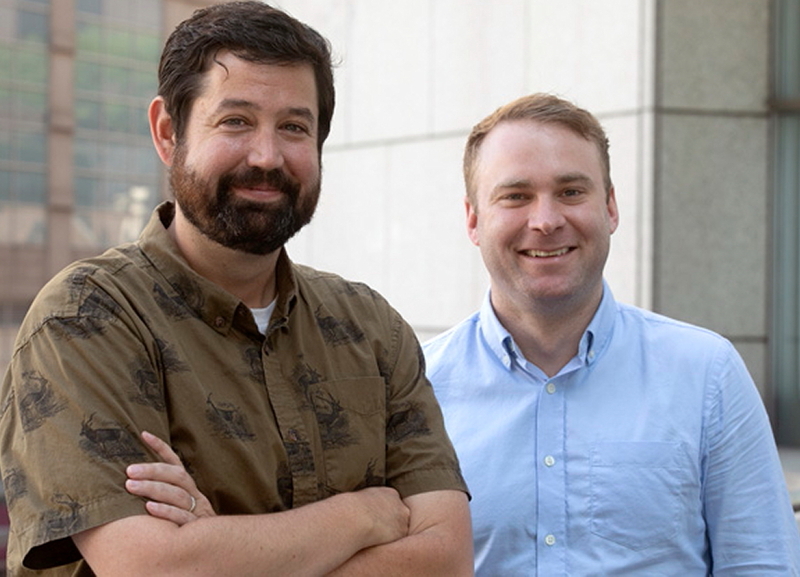 (Chicago — 3 October 2018) Dictionary Films U.S. managing director Chris Rossiter today announced the promotion of Cody McGuire to senior producer and the addition of senior producer Joe Kirkendall to the company’s full-time staff. Both gentlemen are based in Chicago. McGuire joined Dictionary in 2009 as an intern following his graduation from the University of Kansas. Since then, he has since produced projects for countless brands and agencies including Cars.com, The Chicago Bears, Hillshire Farm, Honda, Illinois Tourism, Kellogg’s, Walgreens, and Wilson Sporting Goods. A graduate of Indiana University and a staple of Chicago film production for nearly 15 years, Kirkendall has spent most of the past seven years freelancing for Dictionary Films. His credits for the company include producing commercials for Allen Edmonds, Corona, Foot Joy, Home Depot, PricewaterhouseCoopers, and many others. The integrated production arm of Cutters Studios, Dictionary Films U.S. represents prestigious directors through offices in Los Angeles, Chicago, Detroit and New York. Together with its partner companies — Another Country, Cutters, Flavor and Picnic Media — it also represents unlimited full-service creative capabilities. Since launching in 2008, Dictionary counts DDB, Energy BBDO, Leo Burnett, mcgarrybowen and VMLY&R among its clients, and it has delivered innovative projects for Anheuser-Busch, Coca-Cola, Ford, Kellogg’s, Kraft and McDonald’s, to name a few. To learn more, visit www.dictionaryfilms.com.